As pointed out by recent ST article, healthcare inflation is 50 per cent higher than general inflation. It has risen by 30.6 per cent from 2005 to 2015, as compared to 21.7 per cent for general inflation. As such, it is increasingly difficult for Singaporeans to afford quality healthcare. This gets even more challenging for the 200,000 over self-employed individuals. 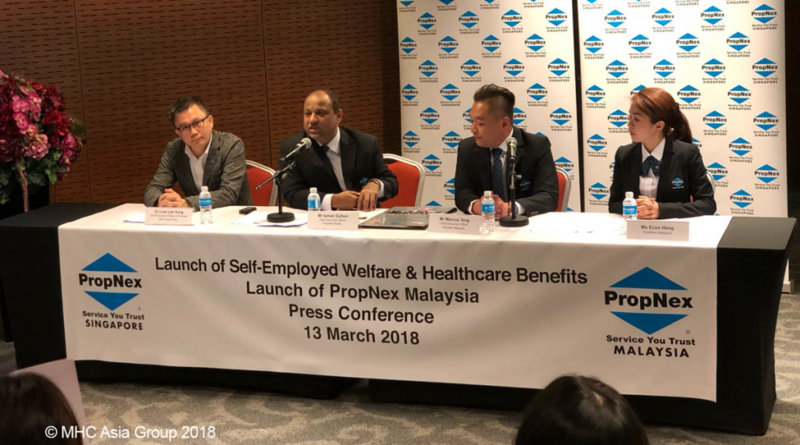 In a move to manage healthcare cost for its people, PropNex, Singapore’s largest real estate agency, has partnered with MHC Asia Group to launch PX MediCare for all 6,928 of its agents and their dependants under the PropNex Associate Health Benefits Programme. The first-of-its-kind in the market, this App helps agents to stretch their healthcare dollars and empowers them with full insights to their healthcare consumption. With PX MediCare, agents can gain access to affordable quality healthcare across an island-wide network of more than 500 specially curated medical practitioners ranging from General Practice (GP), Dental and Traditional Chinese Medicine (TCM). Agents can also extend the above benefits to up to 4 dependants. Apart from their physical health, PropNex is also offering a complimentary financial health check administered by SingCapital Pte Ltd. This comes amidst the rising concerns of the welfare for this group as brought up by Manpower Minister Lim Swee Say during debate on the MOM budget last year. Mr Ismail Gafoor, PropNex Realty chief executive, and Dr Low Lee Yong, chief executive officer of MHC Asia Group both expressed that this programme will greatly benefit the 223,500 self-employed population. The two met over a business meeting and hit off immediately with similar goals in doing more for the self-employed population.